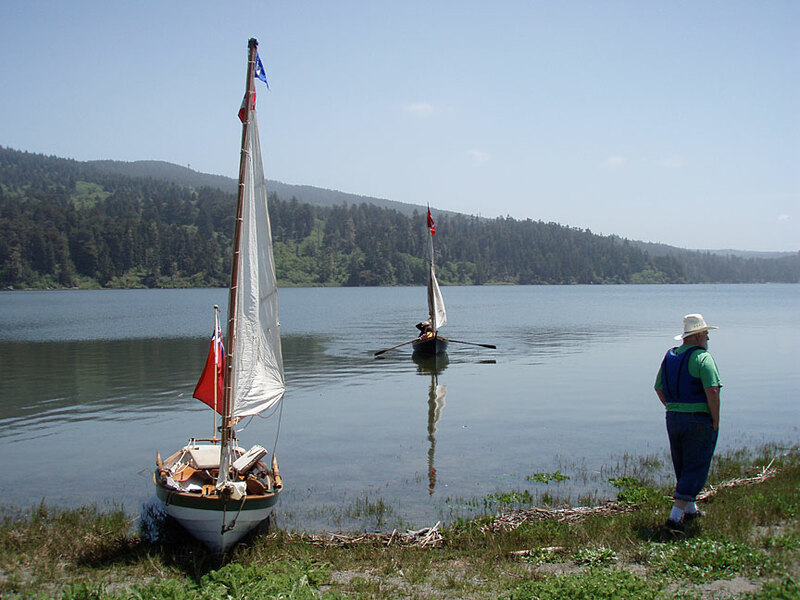 My friends in Eureka, who do historical and other boating events as 'Morgan's Companie', have been holding small boat events at Big Lagoon County Park for a number of years. 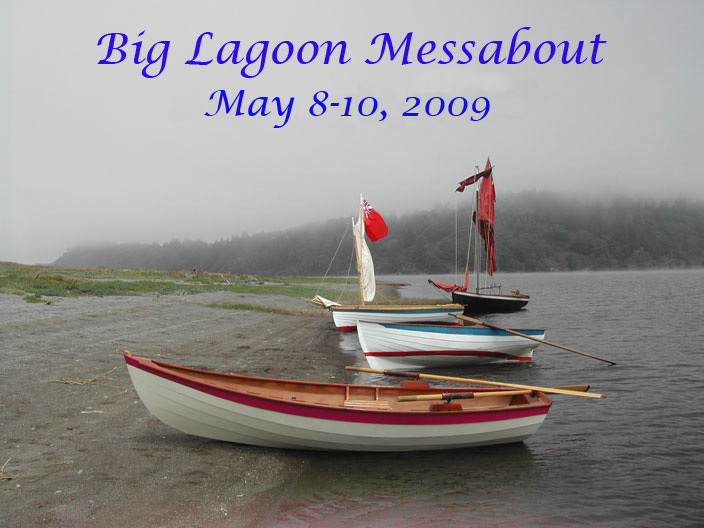 We came up with the idea of hosting something a bit larger, and somehow I ended up organizing the first annual Big Lagoon Messabout in 2008. 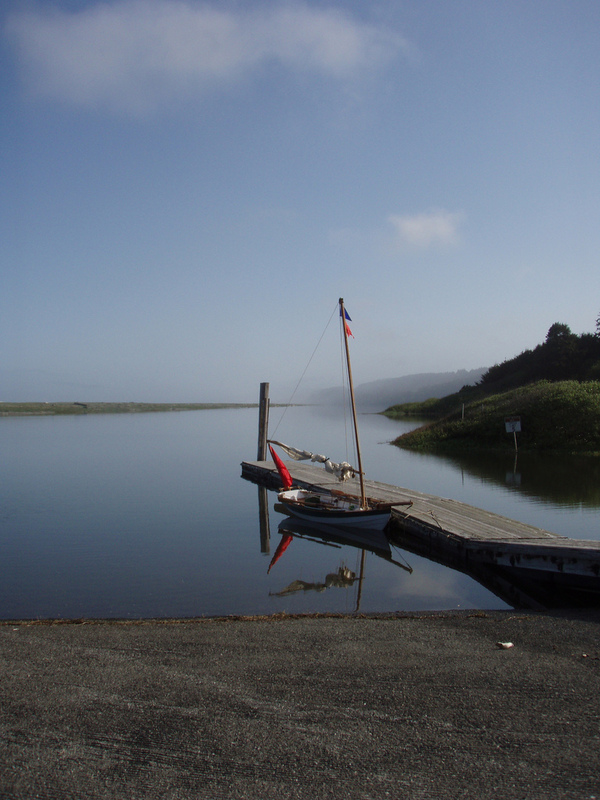 We invited folks from all over Northern California, and also got a nice turnout from the Western Oregon Coots. 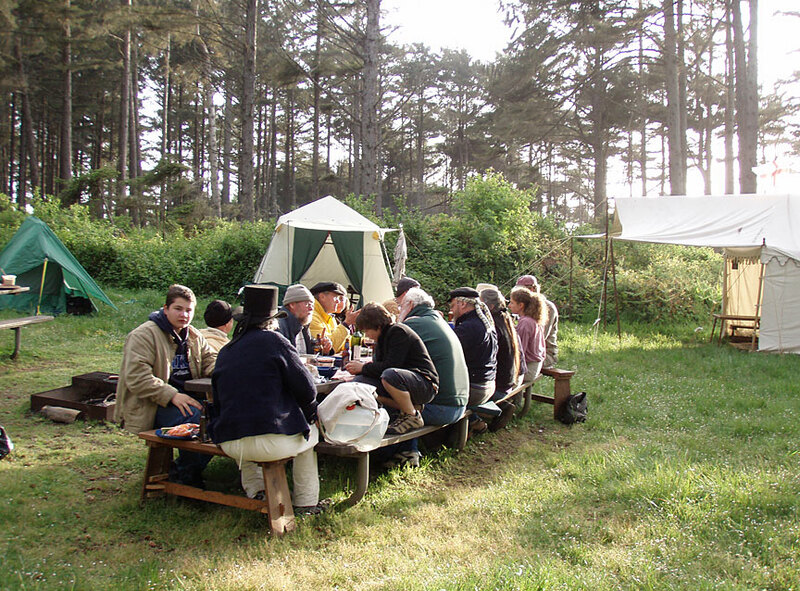 I worked up a webpage with information, maps, photographs and directions, which proved to be a big help to those who traveled long distances to the event. 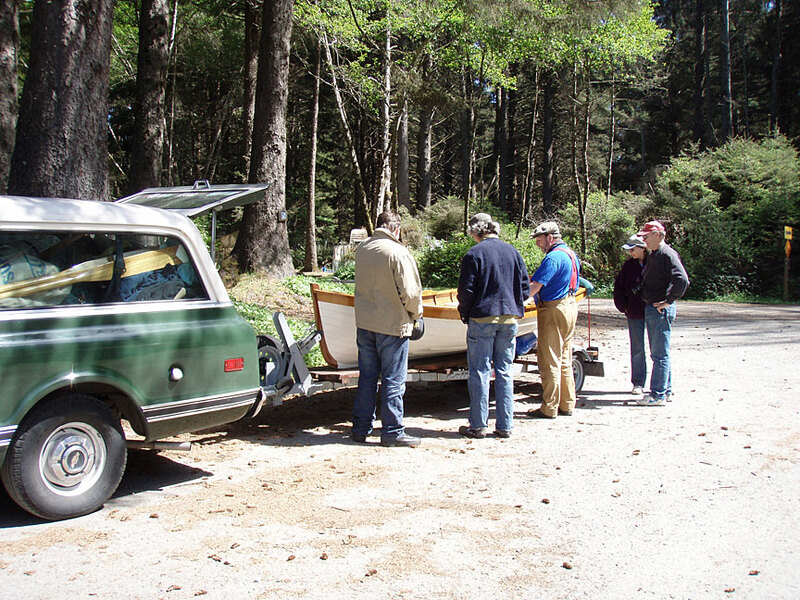 I arrived Thursday afternoon, with the Jetta diesel wagon carrying everything that would fit - and then some. 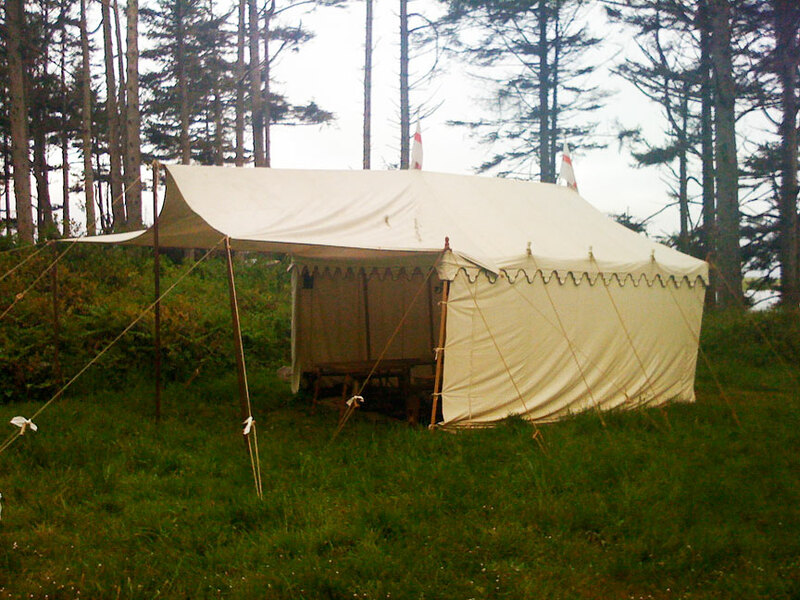 I brought several tents, including my large marquee tent for the tavern party on Friday and Saturday nights. 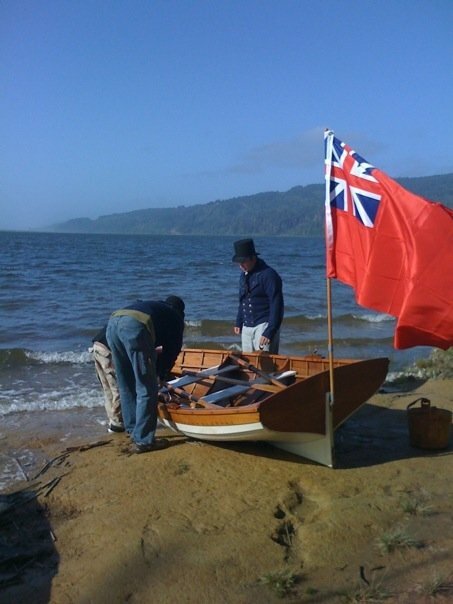 The weather was calm early on Friday morning when I launched my dory skiff, but got lively a bit later. 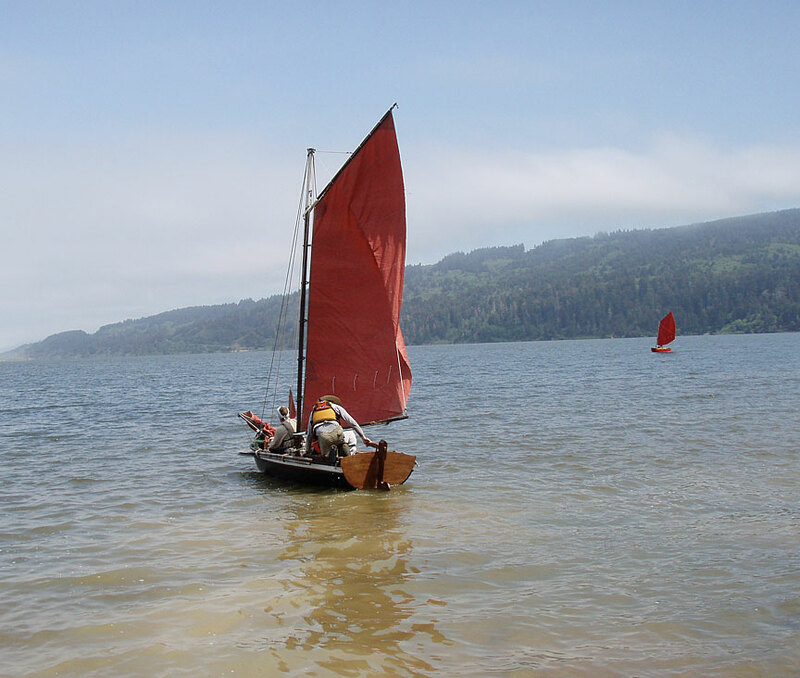 Tony brought his gaff-rigged _Tasher_ as well as his modified Piccup Pram. 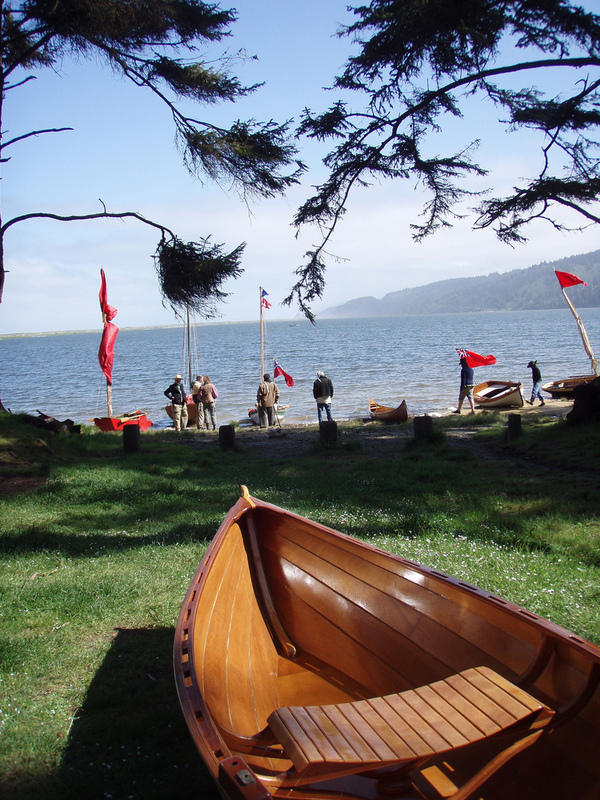 We sailed the Tasher over to join the other boats on the beach, including Dusty's Jersey Skiff. 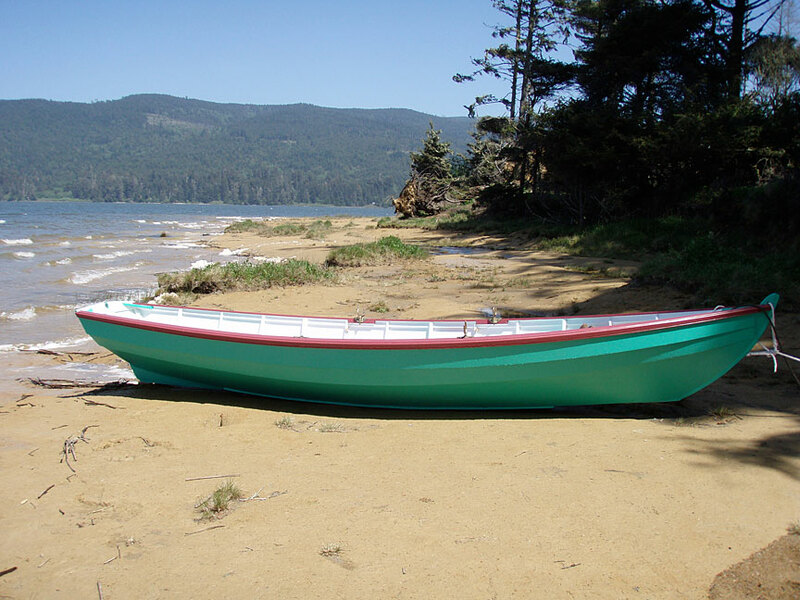 A lovely new marine ply Chamberlain Dory Skiff on the beach. Most people showed up on Friday, including John Carlson and sons with the lovely Merryrow. 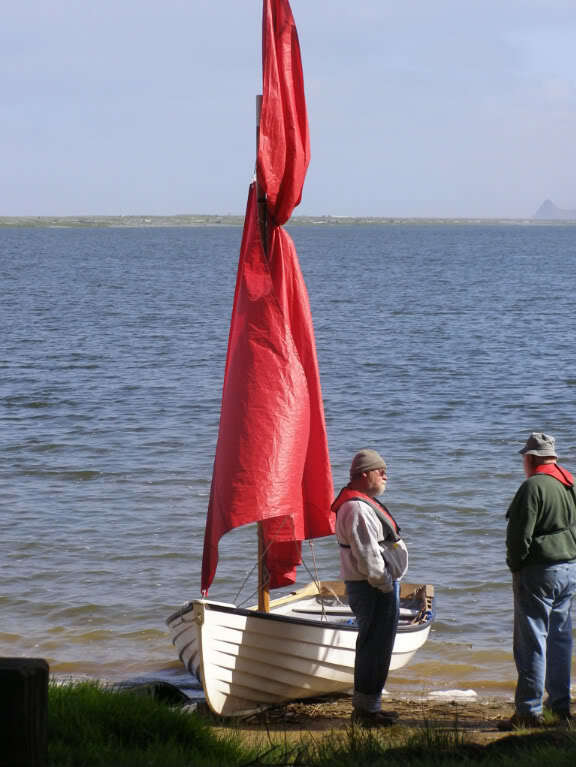 John, Hugh and Owen launching Merryrow in full "Master & Commander" kit. 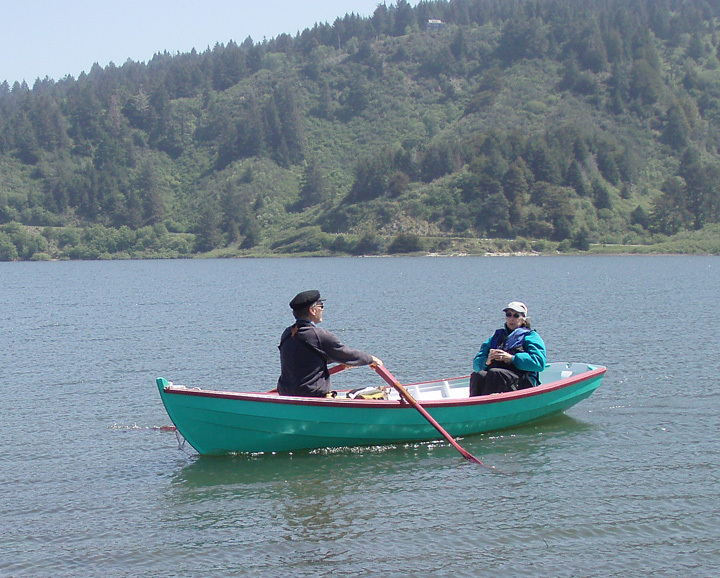 Ken's pretty pulling boat was too pretty to launch. 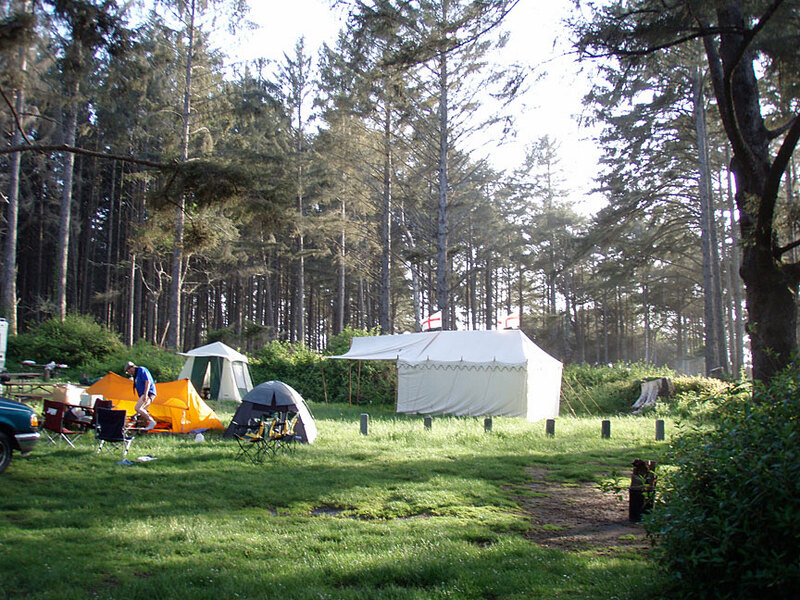 The group camp area begins to fill up with Messabouters. 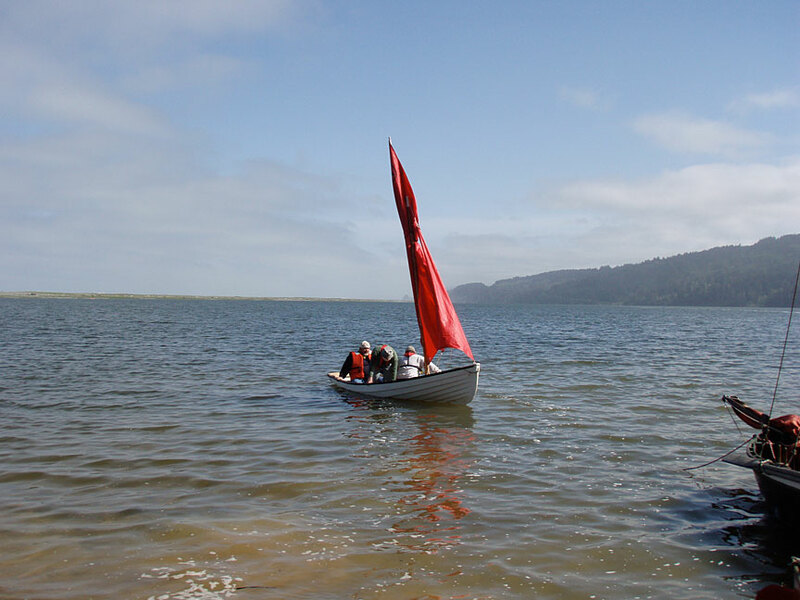 John and Pia launching the Ed Frey built Tortuga on Friday afternoon. 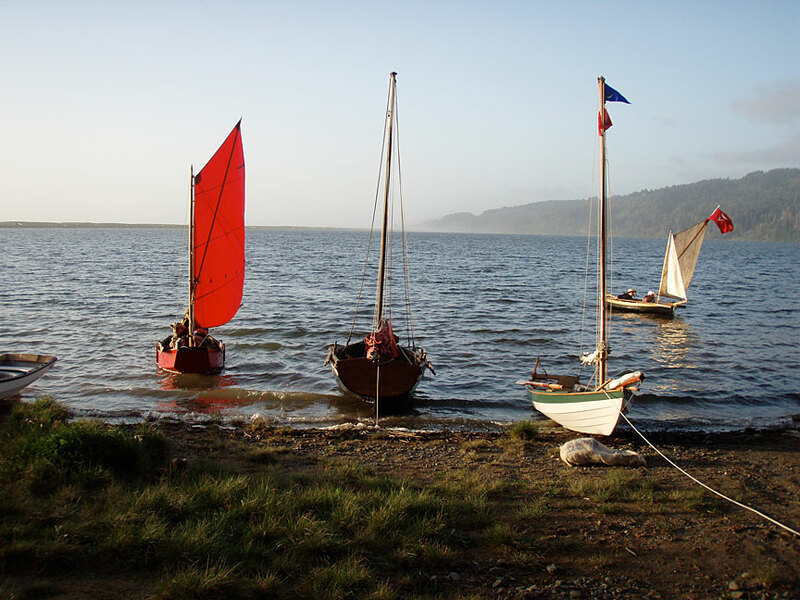 Returning from the sunset sail on Friday afternoon. 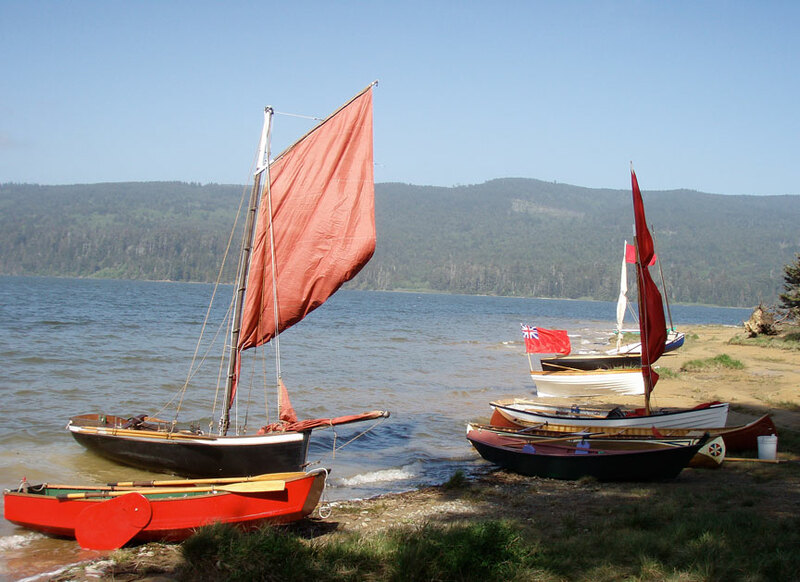 Boats on the beach Friday afternoon. 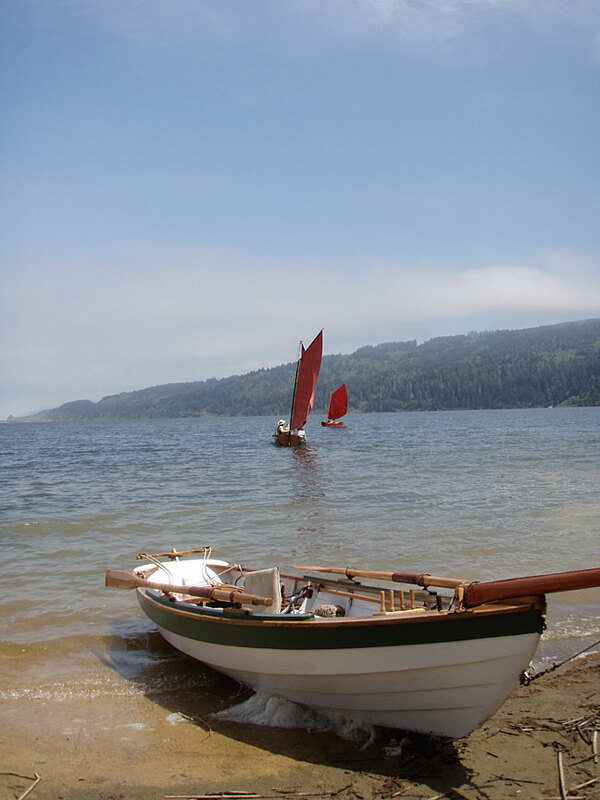 This new skiff showed up Saturday morning but was never launched. 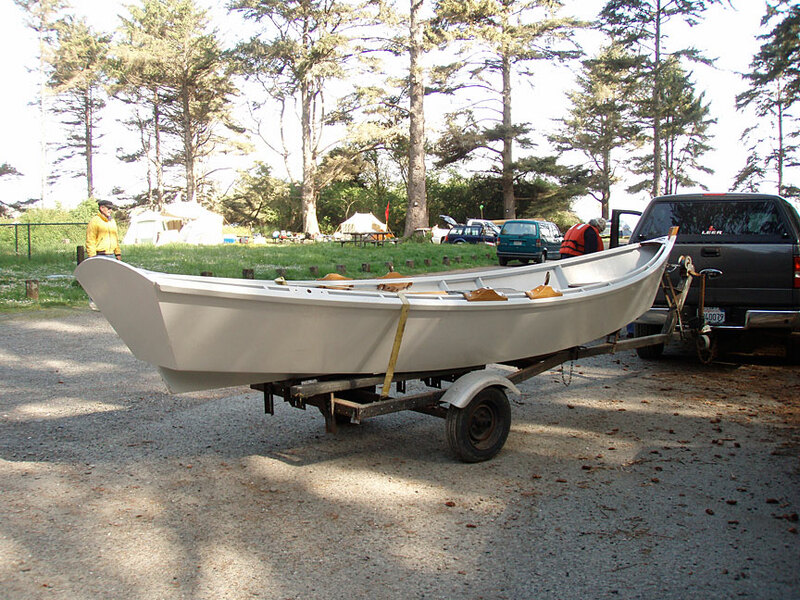 Dusty's Jersey Skiff returning to the beach. 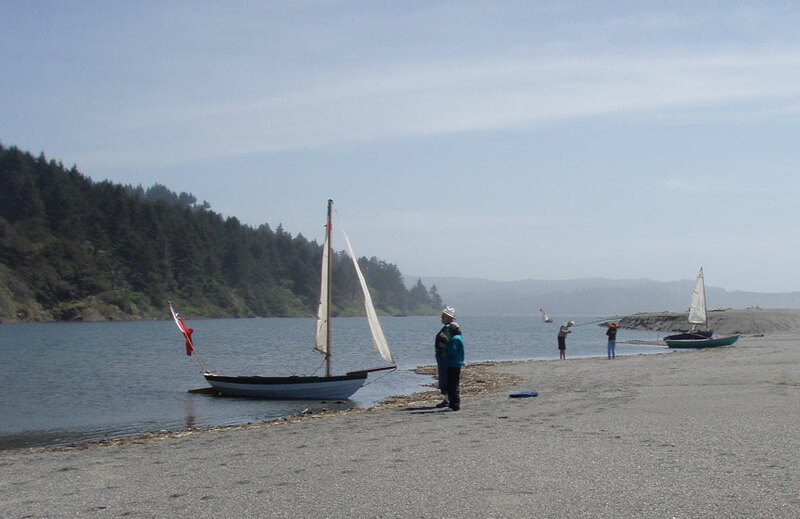 Dusty and Linda Dillion came up from Ft. Bragg for the event, representing the Lost Coast TSCA Chapter. 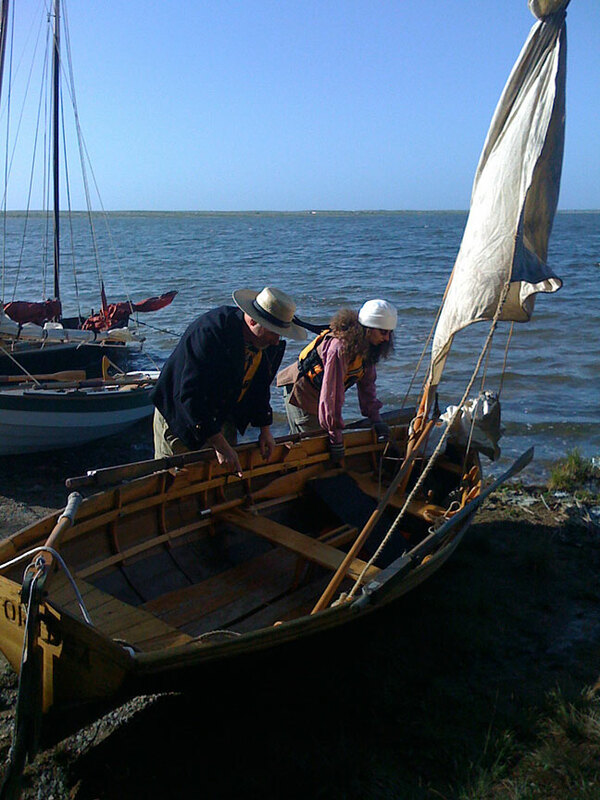 Dusty with his Jersey Skiff. 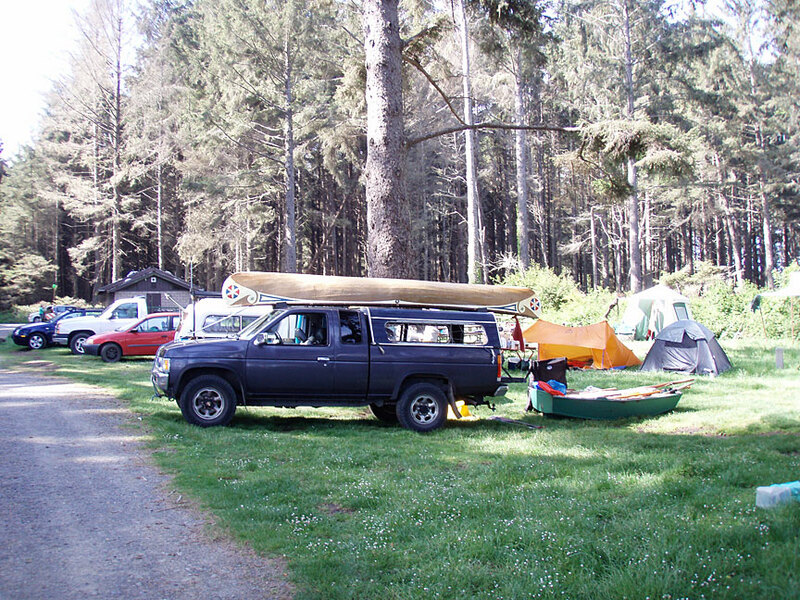 Camp fills up even more, Mike's truck with another Ed Frey canoe on top. 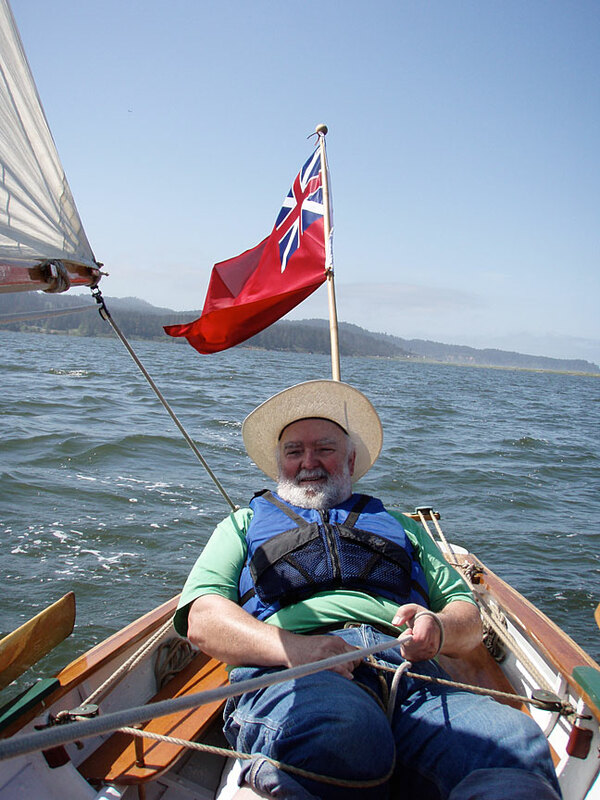 Ken and I went for a sail and had a great reach up the lagoon. 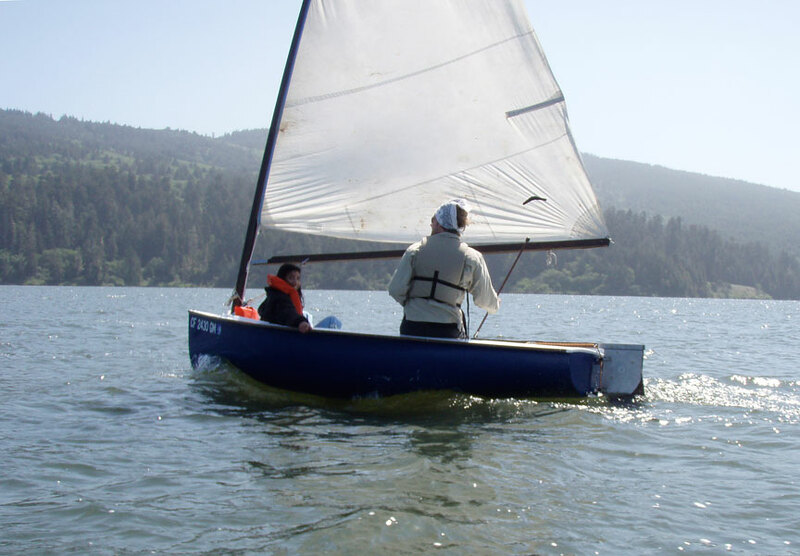 Kristopher and Monique sailed past (and around) us in his daysailer. 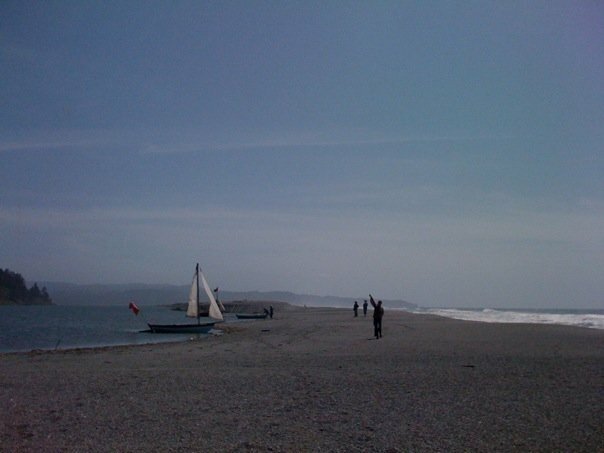 Ken and I pulled up on the beach for the group lunch as the wind dropped. 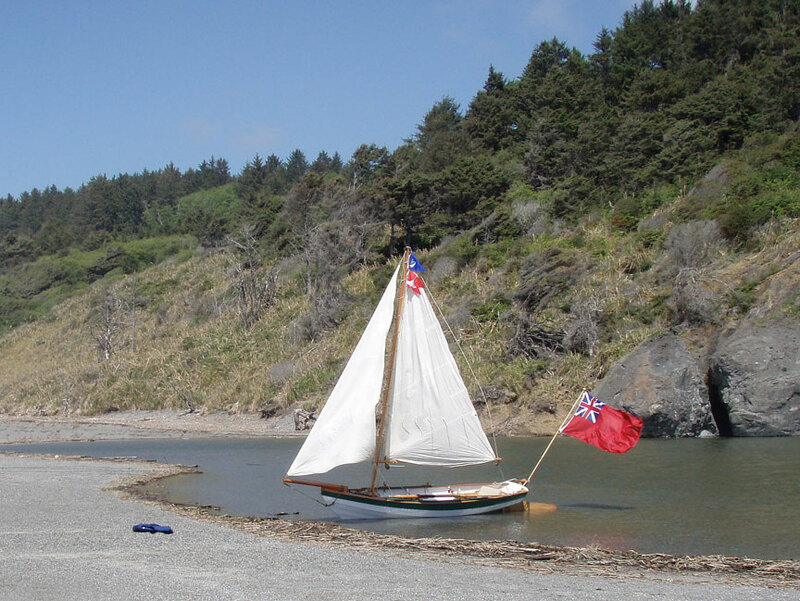 'Grunion' from the Wooden Boat Forum and his wife row their CDS up to the beach. 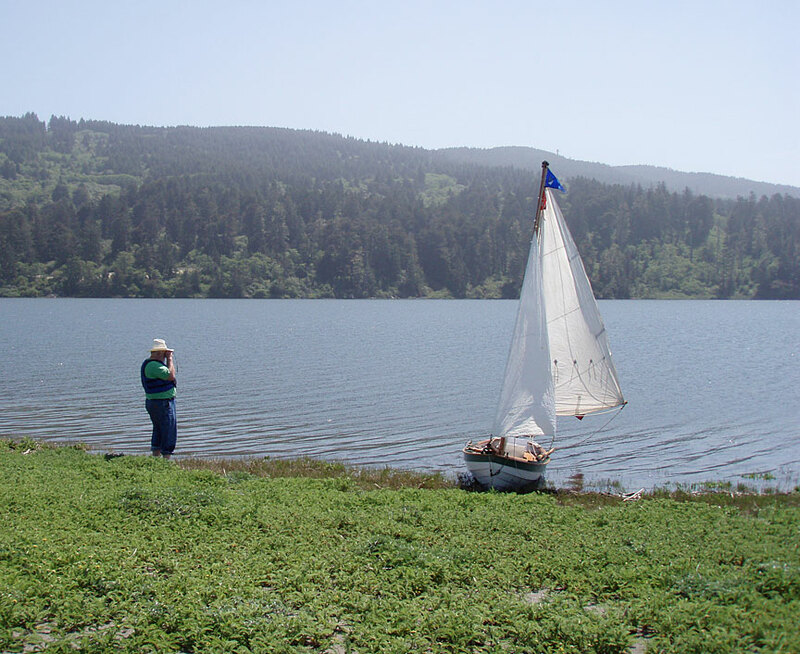 John and Pia row upwind to join us for lunch. 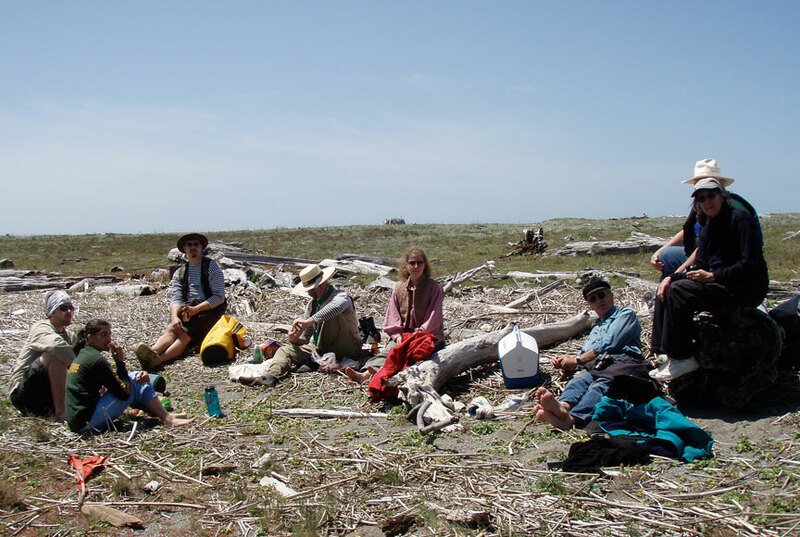 Saturday's lunch on the sandbar for some of the crews on the way to the north end of the lagoon. 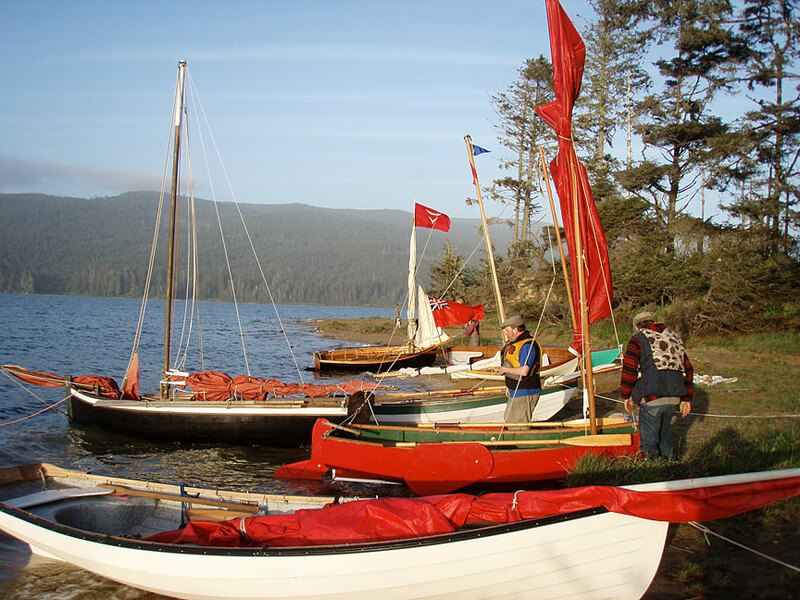 We sailed and rowed north to the end of the lagoon, our usual destination with hopes of a quick downwind run back to camp. My cellphone photo showing the Pacific surf on the right, sandbar and lagoon to the left. 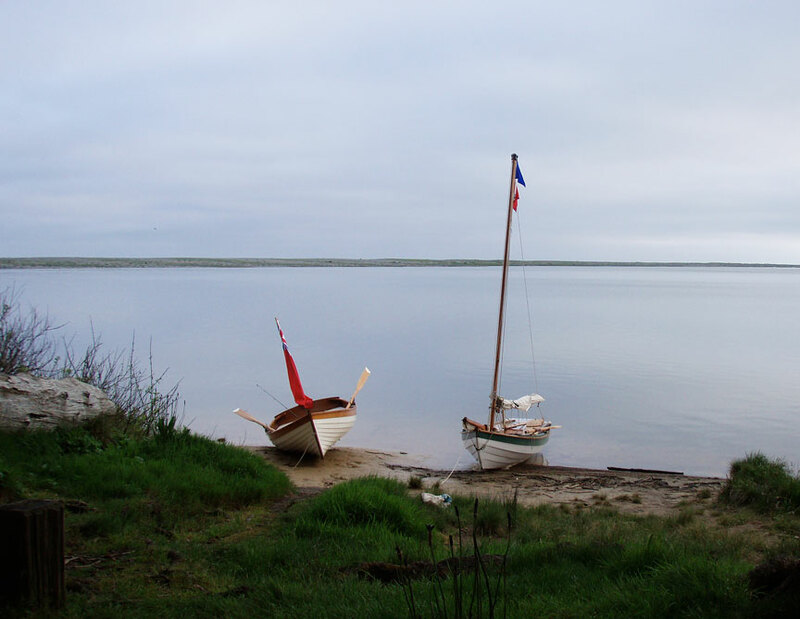 My dory skiff at the breach area of the lagoon. 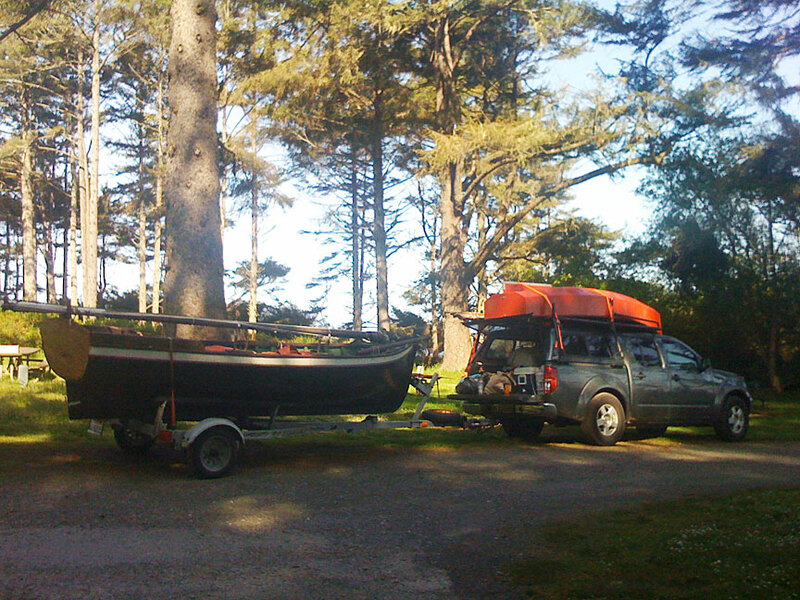 The wind picked up from the ocean as it usually does in the afternoons, so we had a fast trip back to camp. 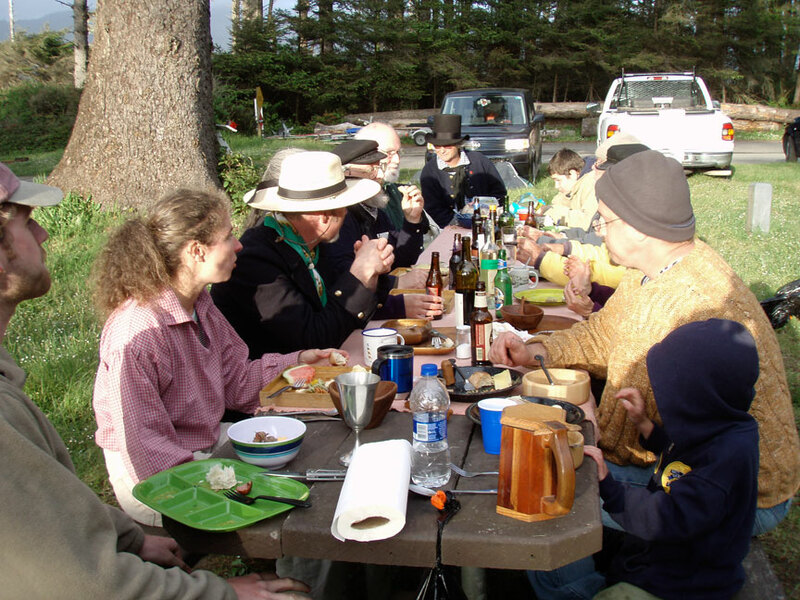 Saturday night's potluck -- everyone had a good time. 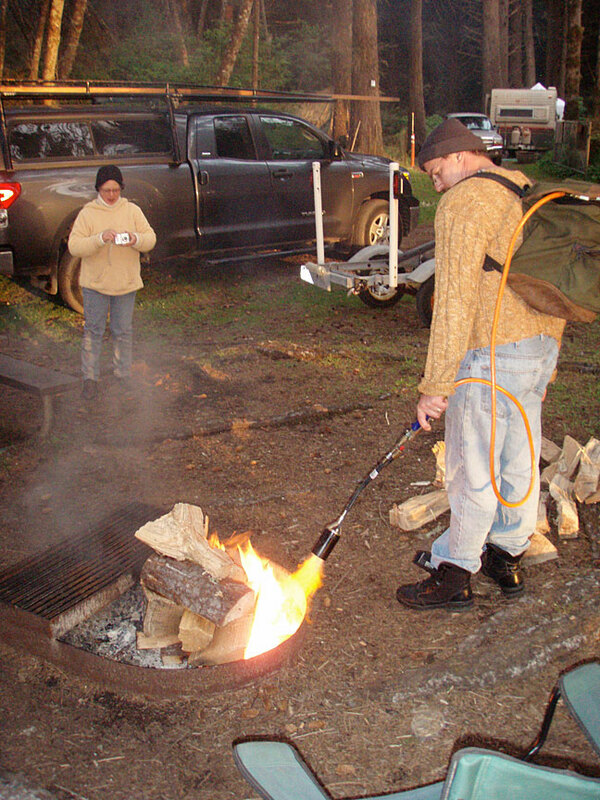 Mike shows Linda and Dusty how to light a fire, Morgans-style. Sunday dawned cloudy and cool. 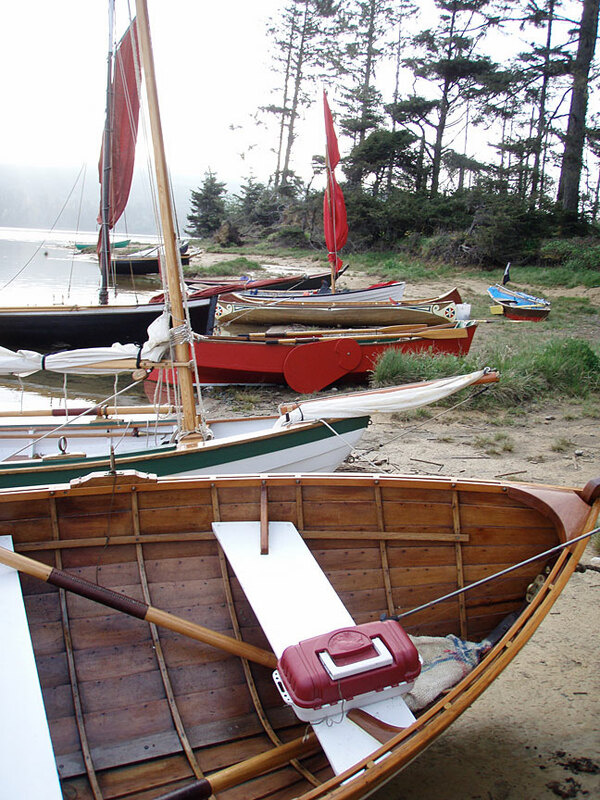 Messabout boats on the beach Sunday morning. 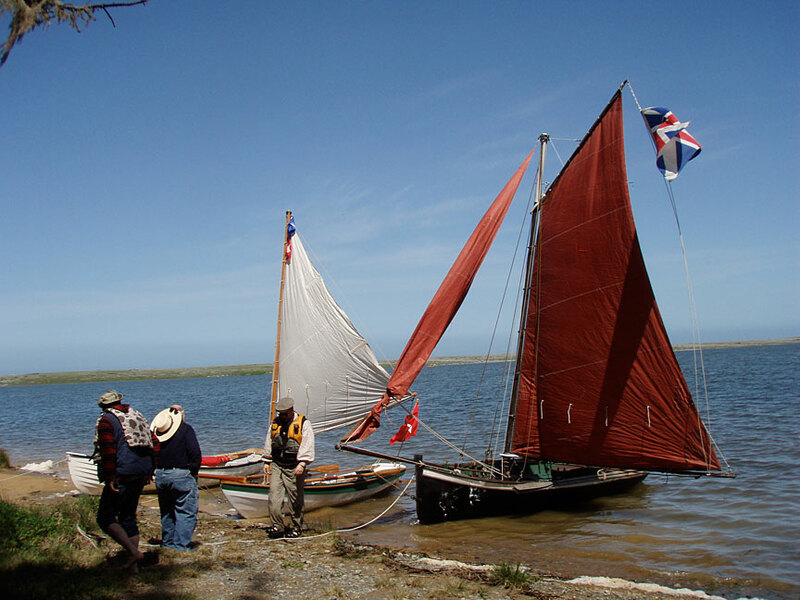 Sailing the Tasher back to the ramp along with the other boats Sunday. 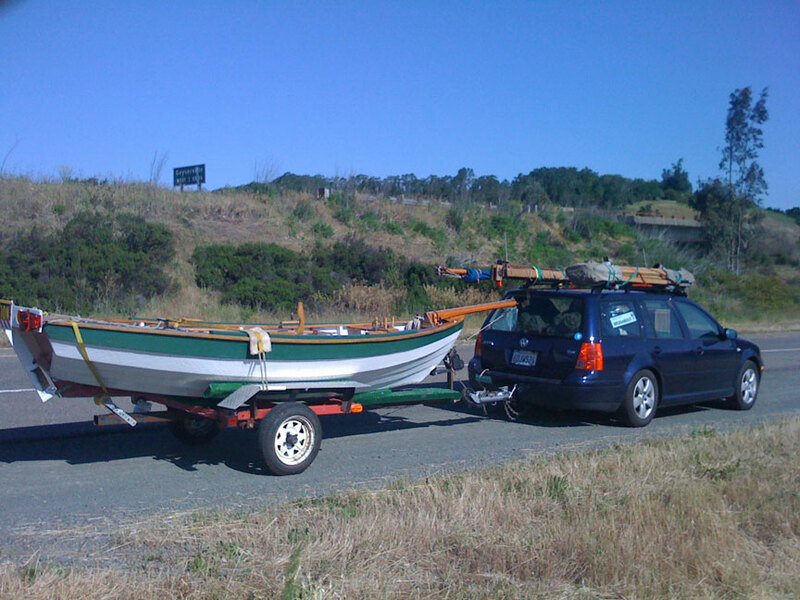 My dory ready to row back to the ramp. My thanks again to everyone who helped plan and who attended this event.